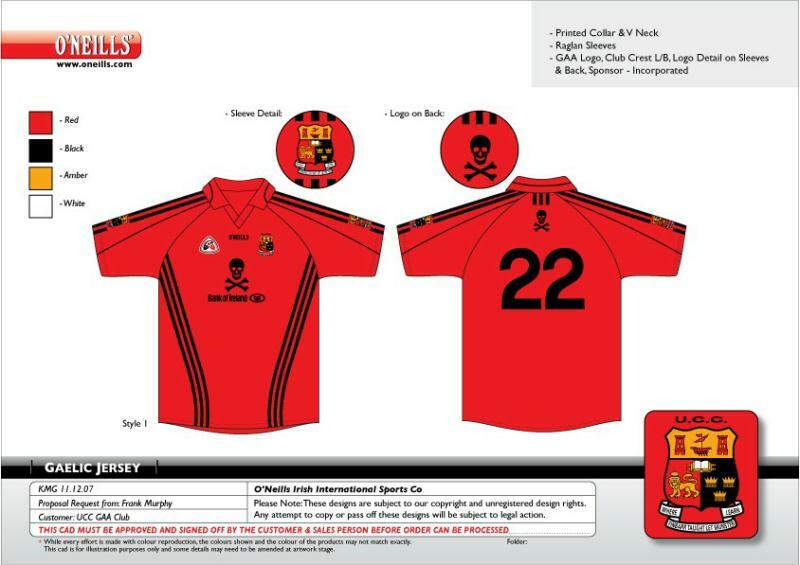 We were delighted recently when Wexford hurling goalkeeper Éanna Martin got in touch on Twitter and revealed himself to have an interest in jerseys, an interest which had grown so much that he ended up designing jerseys and training shirts for UCC during his time there. We were even more delighted when he agreed to be the subject of the site's first interview. Many thanks to Éanna for taking the time to answer the questions. 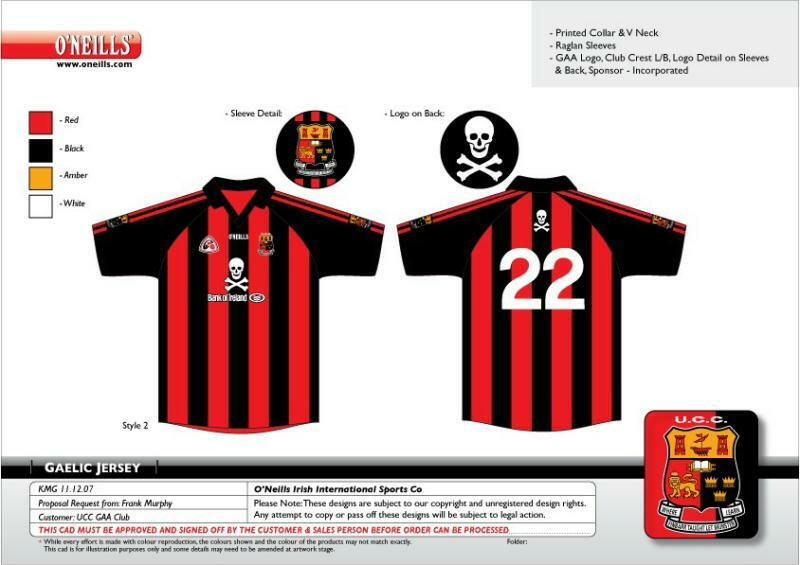 PITJ: Did you have the interest in jerseys from a young age, were you like other kit nerds (myself included), doodling your own designs? 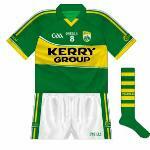 Éanna Martin: I was always interested in jerseys in every sport. 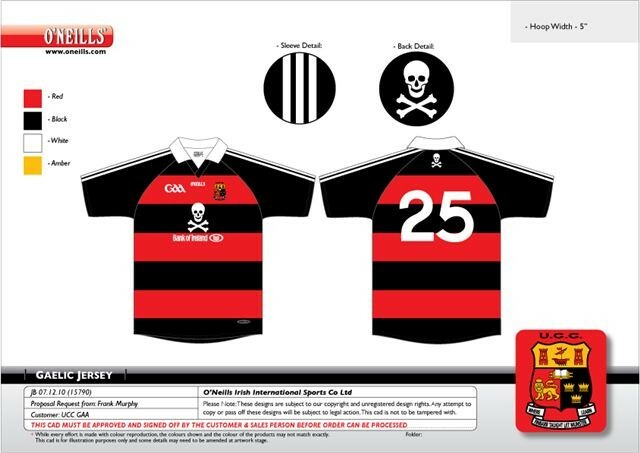 I suppose I was lucky enough to have had alot of GAA and soccer jerseys when I was a kid. I support Leeds United and I remember always trying to get their new jersey as soon as it came out. My mother also had a friend who worked in O'Neills and she used to send down jerseys for myself and my brother. These were normally seconds which had a slight defect, but that didn't bother us. Do any particular styles from your childhood stand out as particularly memorable for being good or bad? I suppose in soccer you'll always think of the grey Manchester United jersey as it made the headlines. I remember getting the Wexford goalkeeper jersey in 1997, which caused massive excitement Back then, the GK jerseys were not as readily available as they are now, and then I was a bit obsessed with Damien Fitzhenry, which made it better. 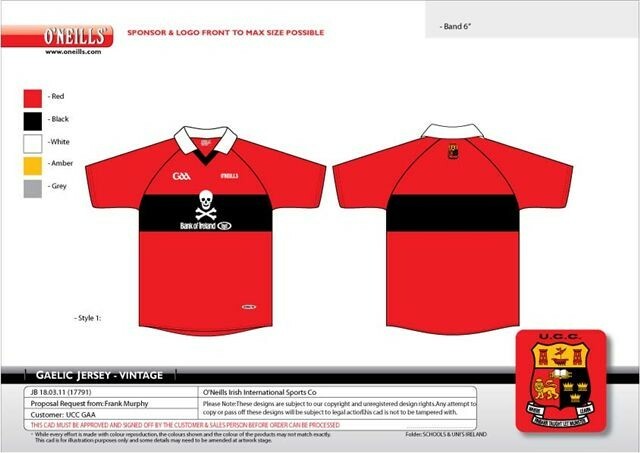 How did it come about that you designed the UCC jerseys (right, click for larger images), was it just something you volunteered for? My older brother Traolach was chairman of UCC GAA Club when I arrived down in first year. [Cork ladies football manager] Eamonn Ryan was GAA development officer at the time and UCC were hosting the Fitzgibbon weekend. I think they got a deal with O'Neills to sponsor the weekend and that included new gear and new jerseys. Eamonn just left my brother look after that and sure I tagged along. 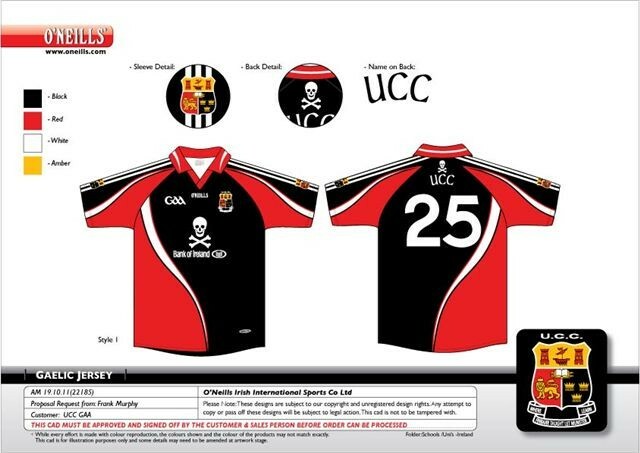 That was in 2006 and I think UCC have had four different home jerseys since, two away jerseys and then different training jerseys each year which I've had a hand in. Any particular inspirations for the designs? 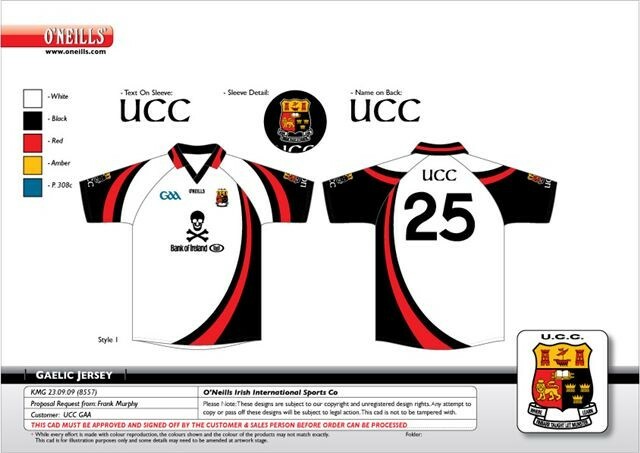 Not really at the beginning I felt it was important to keep the jersey as close to the old UCC jersey as possible. In later years we went back to a minimalistic retro approach. This included bringing back the white collar and a plain red jersey with black hoop in 2010. 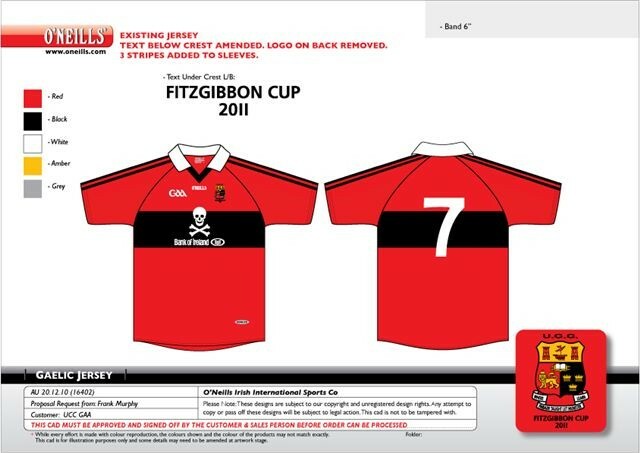 In 2011, we added in the three stripes on the sleeve but in 2012 for the Fitzgibbon centenary celebrations we went back to the plain jersey and added a white box around the numbers like the olden days. Was there complete freedom, or did you have to work with existing O'Neills designs? 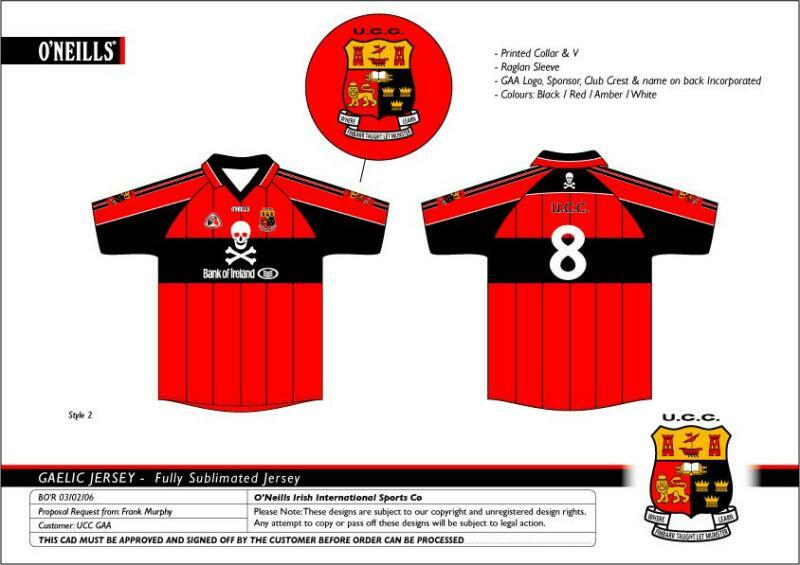 Well with the UCC jersey you have an existing design of red jersey with black hoop and the skull and crossbones. But other than that I used to try things out myself. I also work closely with Frank Murphy who is Munster rep for O'Neills. Frank is great as he lets me know what can be done and what can't, and I work away between those then. 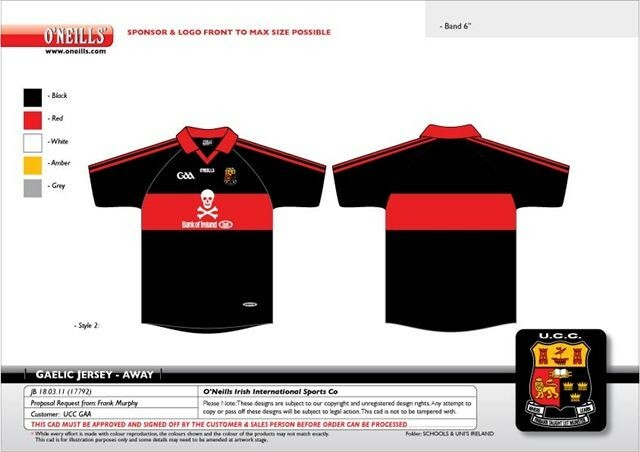 You have to be careful because you have a lot of lads in UCC who will be wearing the jersey or buying the training jersey, and if its not nice they will let you know fairly quickly! 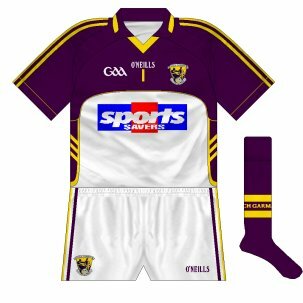 Have you ever had any involvement in [former club in Wexford] Geraldine O'Hanrahans or [current club] Sarsfields (right) jerseys? 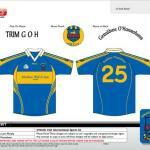 Yeah myself and Traolach my brother designed the latest jersey that Geraldine O'Hanrahans have (left). 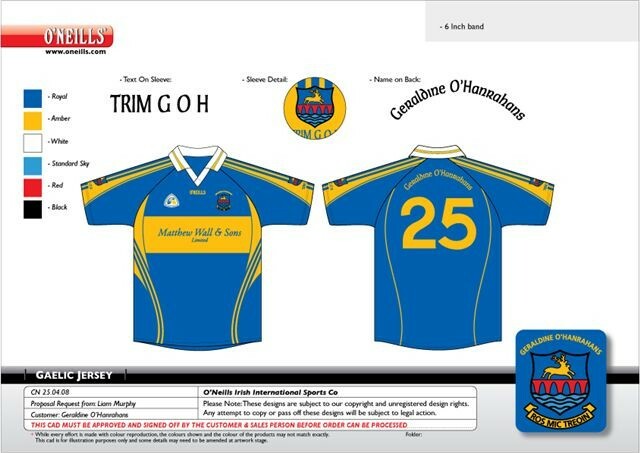 They are the Tipperary colours so we kind of went for a different design and also included the white collar. I haven't done anything with Sarsfields, just training gear. 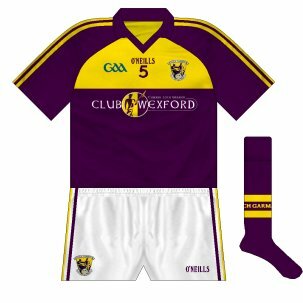 What are your overall views of the various Wexford jerseys over the past decade? I think going back with O'Neills was a good move from the county board. 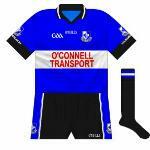 I think the jerseys have followed on with O'Neills' progression in designs. I personally thought they could have had less yellow in the last jersey. But They have done a lot with the designs and they seem to sell an awful lot of them so they must be doing something right. What should the Wexford style be, in your opinion? I think the Wexford jersey should go back to mainly purple with gold as the secondary colour. From the chest down should be purple and gold from the chest upwards. Thats the way it always was, so why change it. The jersey the Wexford minors had last year (left) would be the design I'd go for. How close were any of the mooted designs in 2012 to becoming reality? We all thought that we would have a new jersey for championship but this never happened for some reason, I think there was some dispute over changing it. But for our squad headshots this year, we actually had what we thought was the new jersey. It was the same design as the minors jersey but with the Sports Savers logo on it. 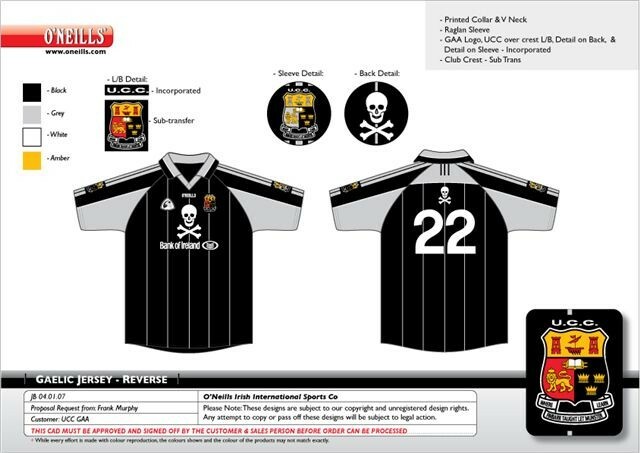 As a goalkeeper, do you have any say in the jersey, for example if you wanted to wear purple would the county board order one? No, I doubt I'd be able to do that. 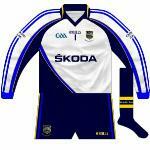 The Wexford goalkeeper jersey is always a nice design anyway. But to change it there would be to much involved. 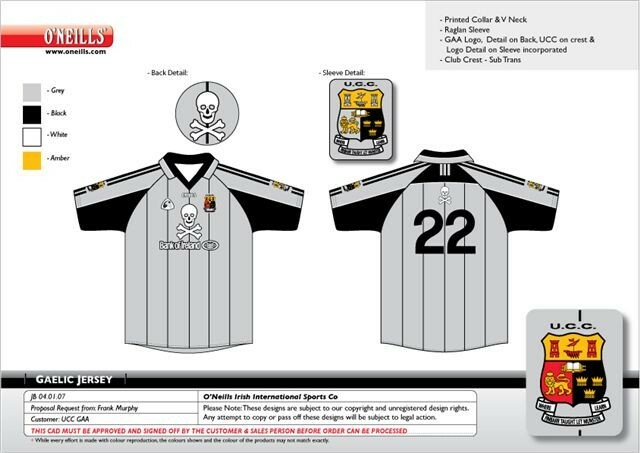 I'd be happy enough getting any Wexford jersey to wear. There are plenty of people who would love the opportunity to wear one, so if I'm lucky enough to be given one, that's all that matters to me. Finally, what are your current favorite jerseys? 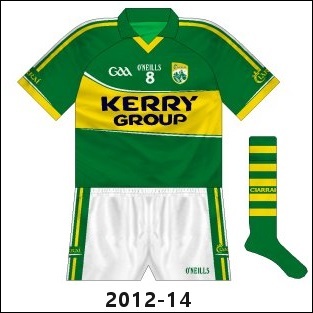 I really like the new Kerry home (left) and change jersey and the Tipperary goalkeeper jersey (right). I have a Dublin training jersey that I think is the nicest around, it's white and sky blue stripes, like Argentina. 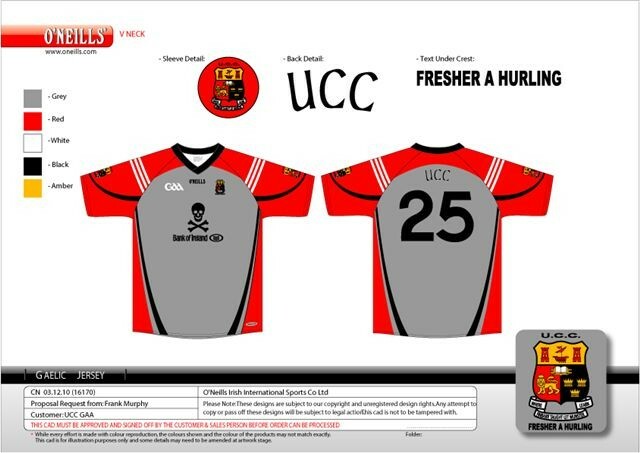 Of course some of the UCC jerseys are fairly stylish!